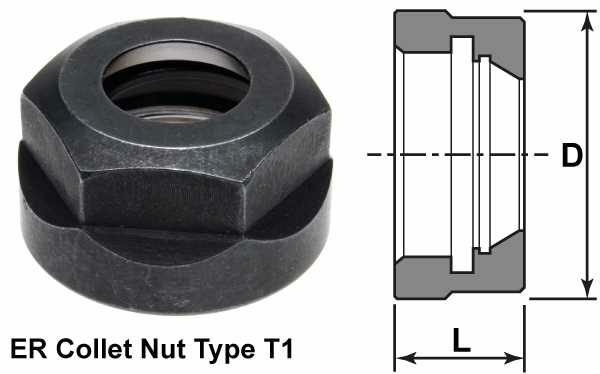 Inspecting the inside of an ER collet nut reveals an internal flange that has been machined eccentric to the main axis of the nut. This is not a machining error but is designed that way to lock onto the groove of the collet and aid its release from the chuck body. To remove the cutter, slacken and undo the nut until resistance is felt. Then, using a collet wrench, further undo the nut until the collet is released from the chuck body. Removal of the collet from the nut is the reverse of the mounting procedure.